Changes to the air resistance coefficient of shells will allow this destroyer to feel more comfortable at long and medium ranges, and the improved armor penetration will give a new option: engaging cruisers with AP shells. It will be necessary to consider the target's armor and distance, but it allows for the potential of inflicting serious damage to lightly armored cruisers even at 10 km, especially when used in conjunction with the Main Battery Reload Booster. One of the major challenges faced by Le Terrible was regarding it's low survivability, which will be improved by the new hit points allocation system. It will allow the destroyer to survive longer under intense and sustained fire. Due to having a low number of guns, the ship was weaker than it's counterpart tier battleships despite having the dispersion ellipse smaller than tiermates and the high damage of the 457mm guns. 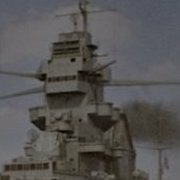 Lowering the reload time allows Georgia to use it's features more often and will make this battleshipmore dangerous. Main features of the Soviet battleships - great accuracy on the close ranges and and good armor - have a very noticeable effect on their efficiency. We continue to change this ships, trying to keep these features intact, and they are still needing some small weakening changes to balance them in comparison to other ships. Citadel's upper deck armor increased from 12 mm to 32 mm. Changes to Monarch_T and Conqueror_T were to rebalance,not to weaken them. But as a result, these ships lost some of their combat efficiency. To compensate for this, both battleships will get improvements for several parameters. Please, pay attention that these are test changes and they don't apply to the basic ships. If testing shows that such balancing is efficient, it may later be applied to the basic versions of the ships. Attack planes' rockets changed to those of Audacious' attack planes. Indomitable's attack planes usually weren't used due to the noticeable advantage of bombers. This change will increase the attack planes' damage and will allow them to be a viable alternative to the bombers of this aircraft carrier. Yet they had no quarms about gimmicks left right & centre for other ships. It sounds a significant buff for the gun ballistics of Le Terrible. I would say it is a totally different ship which is more like a Soviet DD with gun reload boosters. I am happy to hear the change that but not sure what other commanders of LT think.